Electronic Environments Co. (EEC) has transformed traditional infrastructure services by fully integrating our design, build and maintenance capabilities. Planning – Design – Construction – O&M – Assessment. EEC’s portfoilio of solutions and services cover five interdependent areas of the mission-critical facilities lifecycle to optimize, reliability, performance and value. These are the key components of our integrated approach. EEC’s construction team focuses exclusively on mission-critical facilities. We leverage our experience in maintaining and upgrading data centers in the construction phase. EEC provides maintenance and assessment services to help ensure our customers get the most out of their mission-critical operations. Fill out this form and receive a FREE Energy Solutions eBook! 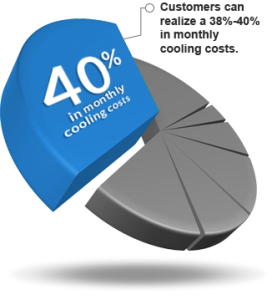 Correctly managing power and cooling issues in your critical environment enables you to maximize energy efficiency and reduce your operating expenses. Get your FREE Energy Solution eBook today! Learn about the 6 ways you can obtain a 10% improvement in PUE inside. Recently, we had a problem at one of our hospitals with one of the older UPS units that we hadn’t yet refreshed. We contacted EEC’s Customer Care Center and they had a technician on-site within two hours. The technician determined that because of the age of the unit and the available parts, installing a temporary UPS would be the best action in order to keep the power to our vital technology. Since it had to be done right away; EEC took one of the units from their own on-site lab, unhooked it, brought it to our facility and swapped the load over. I can’t say enough about how pleased I am with the support EEC has given us so far. Recently we had a power outage which we thought caused an error on one of our UPS systems. I called EEC’s customer care center, which is always a pleasure to work with by the way, explained my situation and asked that a UPS technician contact me. I was contacted within minutes by a technician and he walked us through the issue which turned out not to be a UPS issue. He was patient, took the time, called us back and stayed on top until we were satisfied.